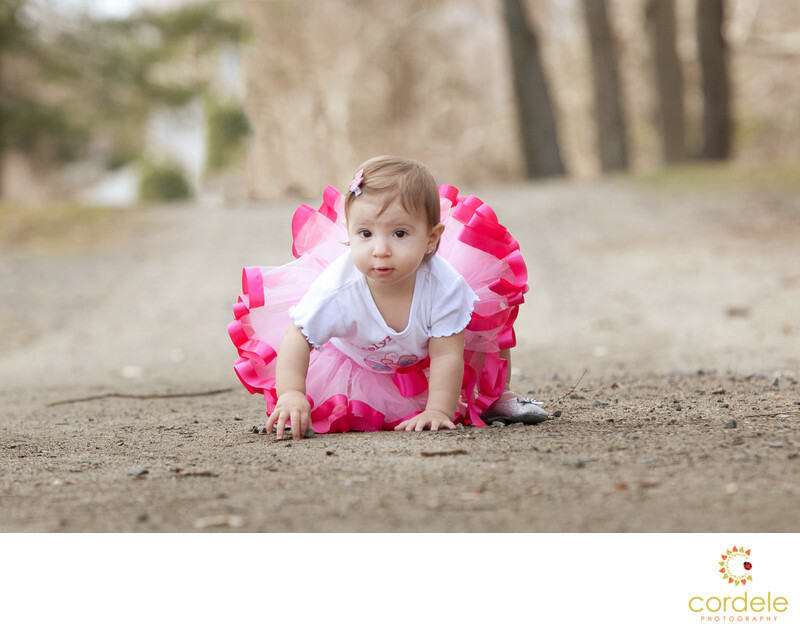 Outdoor First Birthday photoshoots and cake smashes I love traveling to in Peabody Massachusetts. Right off 128 getting to this location at Brooksby Farm is pretty easy. This first birthday photoshoot marks the milestone of this child and really helps stop time for just a minute as she grows. This little girl I feel like I had known forever. I had been photographing the family for years and when the mom asked me to photograph her last baby I was so excited. We headed up to Brooksby Farm in Peabody Massachusetts. We walked around to several different locations and the best one was right on the dirt in front of the old barn. Normally for first birthday photos people want to come to the studio and really want to have the background and cake smash. We can do that too, but there is something special about letting a little one wander around and explore their world and letting a photographer capture it all. Location: Brooksby Farm, Peabody MA.